Apple’s latest iPad is aimed at “winning more school districts’ dollars,” said Jack Nicas and Natasha Singer in The New York Times. 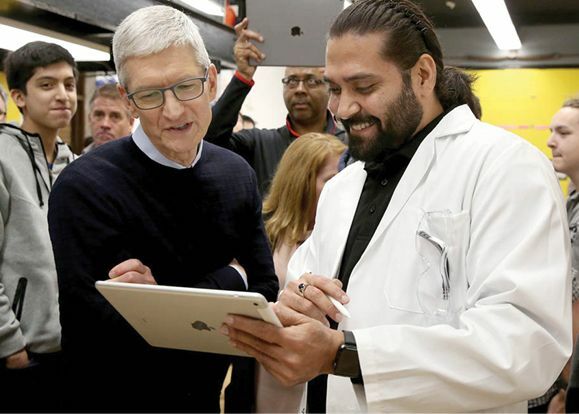 The tech giant’s CEO, Tim Cook, traveled to a Chicago high school this week to unveil an upgraded version of the iPad and a handful of educational software tools designed for students and teachers. The 9.7-inch tablet, priced at $299 for schools and $329 for consumers, has a speedier processor and can pair with Apple Pencil, the company’s stylus. Cook also revealed students would now receive 200 gigabytes of free cloud storage, and debuted new software, including Schoolwork, an app for teachers to create and track assignments.